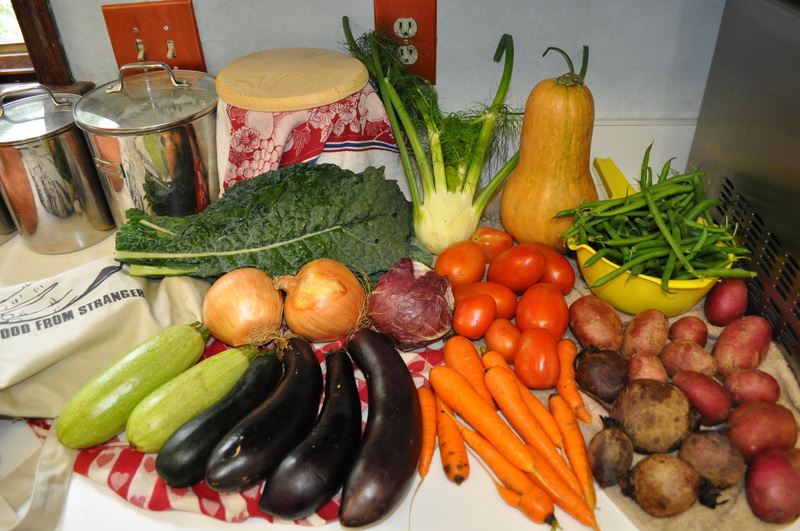 Again, on week 16 we get 13 items in the box from the Lancaster Farm Fresh Cooperative truck. New to me this week, the Sucrine du Berry and the raven zucchini. Must be an omen to get a raven zucchini on football opening day. The Sucrine du Berry squash, similar to, but supposedly sweeter than a butternut is reviewed as good for making risotto or soup or even roasted in huge chunks with Asian spice to tame the heat. We shall see what I decide to do with it. 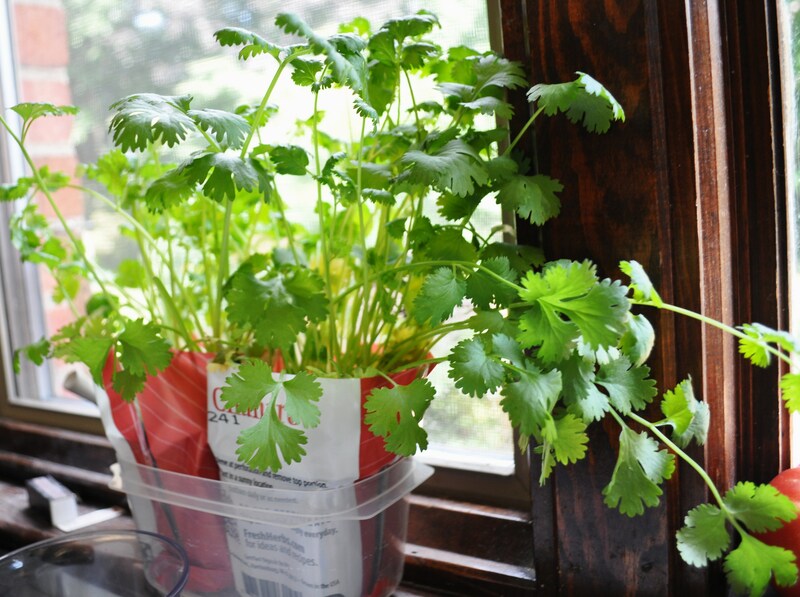 As for the reason I swapped the cilantro, I had just bought two pots of it at Harris Teeter, to keep on the windowsill. They are from Shenandoah Farms in VA and are meant to keep supplying you with herbs for as long as you remember to water them. I needed it for that bitter melon soup. 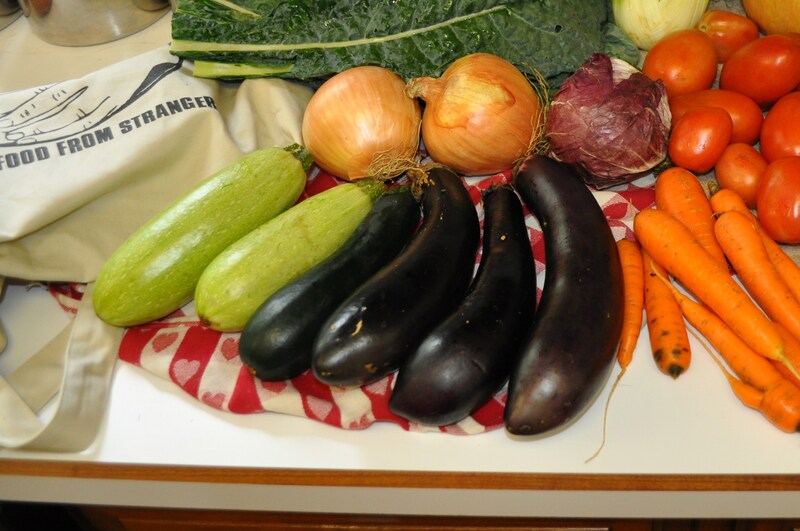 As for the eggplant and the two types of zucchini, I am sort of ratatouille’d out, so there may be chocolate zucchini bread, or zucchini fries. The eggplant will probably end up in a new batch of ajvar if I pick up a few red peppers. I also really love those red flesh and red skin potatoes for salad. With the white, the purple viking and the red flesh potatoes, you can make one amazing potato salad. Posted in CSA, Food, Real Food and tagged cooking, CSA, Food, foodie, real food. Bookmark the permalink. 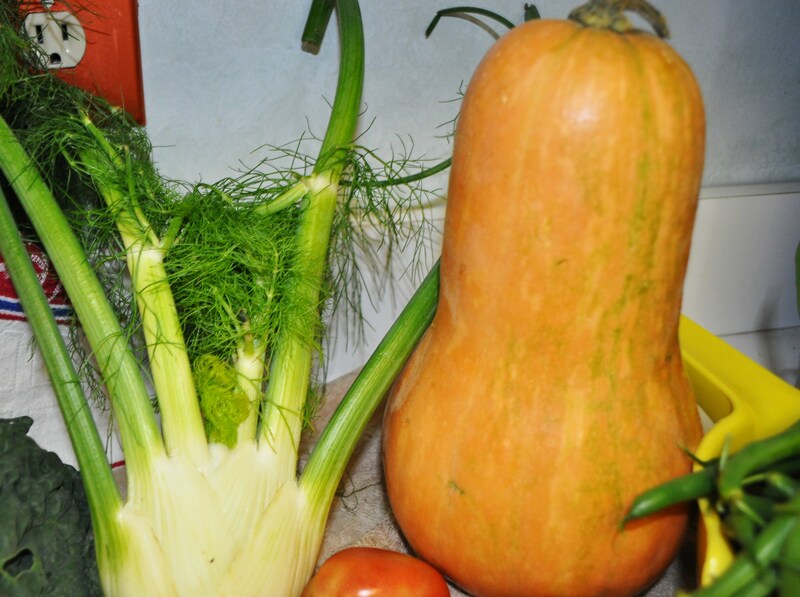 I have never seen nor heard of that squash or zucchini either…how cool!